Getting the young ones to eat their vegetables is usually a challenge. 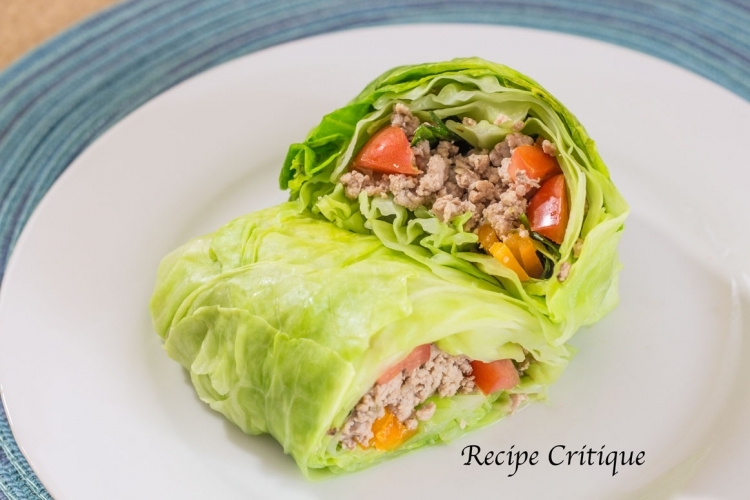 But this kid-friendly ground turkey stuffed cabbage recipe is an easy way to achieve just that. 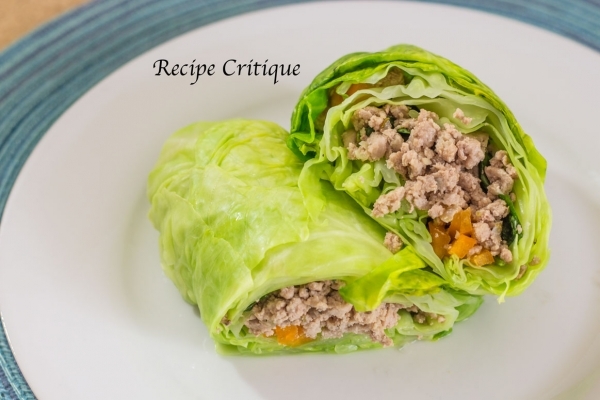 Using cabbage leaves to roll up some healthy lean ground turkey with a side of vegetables is a fun alternative that kids will enjoy. Even the adults will appreciate this Asian inspired wrap. Just adding a touch of sweet ginger garlic seasoning to the ground turkey lends a delicious Asian flavor that is most rewarding. These are super easy to make and full of vitamins C, K and B vitamins, fiber, minerals and calcium. 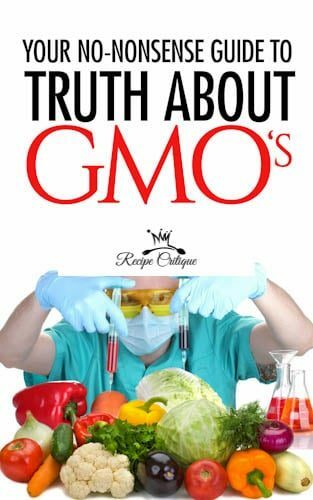 Getting all this nutrition into our children is a win/win. 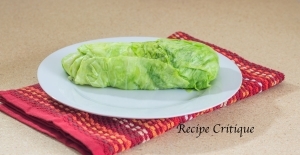 Another great plus is these cabbage wraps are low in calories, making them a huge favorite for those on the Paleo diet. Roll, Wrap or Burrito? The Flexibility of Cabbage Leaves. Once the cabbage has been tenderized, you can format the leaves into the size that works for you. The one’s we have made here are similar to an adult size burrito. However, you can use single leaves and make smaller “rolls” that will work for smaller eaters or even appetizers. You can also mix and match with the fillings of your choice. If, like me, you prefer a crunchier texture to your cabbage, no further cooking is required. If you prefer softer cabbage you can place the wrap in a baking dish and bake for another 30 to 60 minutes. I prefer to just tenderize the cabbage which allows it to retain most of the nutrients. Heat a large pot of water over high heat until boiling. Reduce heat to medium, add the cabbage leaves and simmer until tender, about 8 minutes. When the cabbage leaves are tender move from the water to a paper towel lined plate to drain. While the cabbage is cooking, prepare your turkey. Add the avocado oil to a skillet and heat over medium heat. Add the onions and sautee until slightly softened, about 3 minutes. Add the bell pepper and cook and additional 2 minutes. Remove the peppers from the skillet and set aside. Add the turkey, salt and pepper to the onion mix and sautee until the turkey is no longer pink. Add the fish and oyster sauce and toss to combine. Lay out 3 cabbage leaves, one on top of the other and a little below the previous to make the wraps longer. Spoon half the turkey mix over both cabbage wraps, add the sauteed peppers and diced tomato pieces. Fold over both ends of the cabbage and gently wrap around the turkey mix. Serve while warm with a little soy sauce for dipping. The beauty of this dish is the ease with which you can put it together. Simply boil some water to soften the cabbage in. While your cabbage is cooking sauté your choice of meat and vegetables. Then wrap it all up in the cabbage leaves for an easy one dish meal that will please everyone. These are perfect for an easy healthy weeknight meal that can be on the table in 20 minutes. Best yet, cleanup as you go and there are minimal after dinner dishes to wash. I love it! Hope you do to.